While there were samaritans who helped the injured in the time of distress, others saw an opportunity to make a quick buck in the face of tragedy. 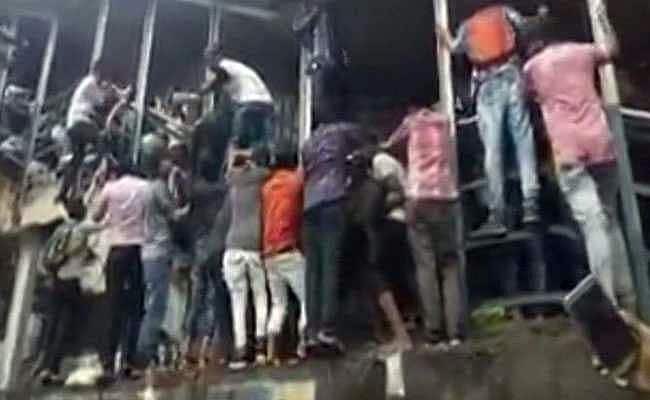 Mumbai: Visuals have emerged showing some people allegedly stealing jewellery from a victim of the stampede at a railway station here, prompting the Mumbai Police to launch a probe. The victim, Sumalata Shetty, was among the 23 people who lost their lives in the deadly crush at the Elphinstone Road station. "Acting on the visuals which were circulated on social media, we have initiated investigation in the ornament theft case," Assistant Commissioner of Police, Dadar, Sunil Deshmukh said. The police action comes after photographs and videos of unidentified persons stealing ornaments from Ms Shetty's body went viral on social media. "No complaint in connection with the theft has been lodged as of yet, but we took suo motu cognizance and have started the investigation," Mr Deshmukh said. The officer said CCTV footage of the spot is being examined. The police is also checking some mobile phone clips, which were recorded by commuters at the time of the stampede, he said.